Romantic details, like yellow roses and lace, were combined with antique style furniture in this vintage style baby shower executed beautifully by Flavia, of Sugar Plum Sweets. The theme was styled for a client who wanted just a hint of “baby”. Shower ideas to honor the new mom were especially lovely with perfect pops of vintage flair. Pretty decorations, mouthwatering cakes, cupcakes and treats plus thoughtful party favors make this shower exceptional. The precious details of this hot air balloon + elephants boy baby shower are inspiring. 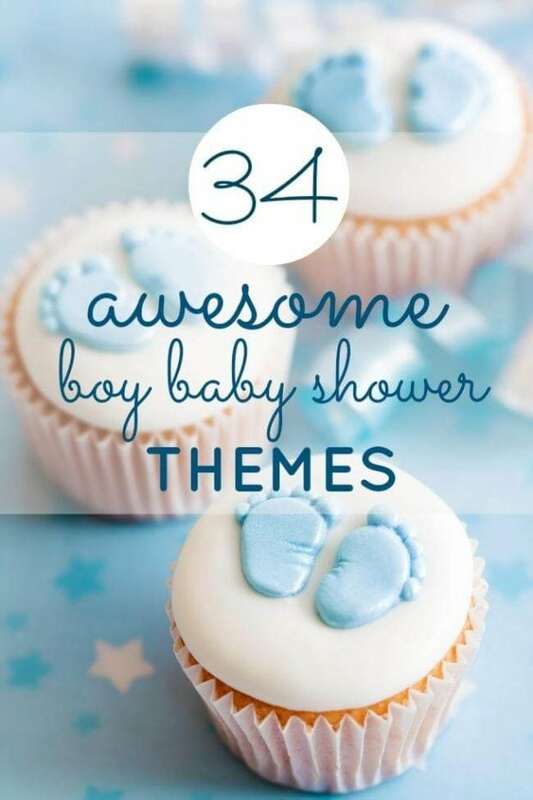 Add some adventure to your celebration as seen in this modern world traveler themed boy baby shower. Guests were welcomed to this sweet affair by way of a beautiful antique style framed sign at the entrance. What a lovely way to set the tone for this vintage style baby shower! Flavia styled this yummy yellow, vintage style baby shower around 3 well-chosen antique style furniture pieces; a roll top desk, a secretary desk and a night stand. Each served an important function such as housing the desserts, beverages or shower favors. Beautiful yellow roses and baby’s breath arrangements were displayed in a variety of colorful vintage vases and jars, adding that elegant, but understated feel to the space. The addition of yellow lace was perfect! Touches of modern styling could be seen through Flavia’s use of tissue tassel garland in light yellows and metallics, but paired with fabric and lace poms, they still read vintage. The lovely dessert table housed the most gorgeous individual portion sized desserts. The menu was absolutely tantalizing. Sweet macarons with gold baby footprints sat atop a sweet milk glass pedestal. Vanilla bean cupcakes topped with roses looked amazing served on metal, lace edged serving trays. Mouthwatering raspberry-chocolate and custard passion fruit tarts in little serving glasses looked divine. And if those confections didn’t satisfy guests’ palates, there were vintage lemon cookies, passion fruit mango cream meringues, lemon curd cheesecakes and even a breathtaking red velvet cake with cream cheese frosting. I think dessert heaven must look something like this. The garnish and detail on each dessert was meticulous. To accent the dessert table, jelly beans were served up in a candy jar with a sweet vintage style tag. A nearby vintage nightstand held a refreshing beverage station. Ice tea and champagne were available for guest’s drinking pleasure. Champagne flutes and ice tea glasses were each embellished with gold paper fans and a baby pacifier charm. A pretty party favor display was created on a white secretary style desk. Take out boxes were enhanced with lace and a precious diaper accent. Muslin drawstring bags with a custom stamp were filled with fresh caramel pecan popcorn; what a sweet way to bid farewell to cherished friends and family. Mom-to-be had to have felt special with such a lovely celebration planned in her honor. Every detail of this charming baby shower was just perfect, right down to the baby shower games.